I was in Kuala Lumpur last week on a buying trip and we covered as many as 13 supermarkets in just 2 days. Crown Prince was with me this trip and we conversed mainly in his native tongue of Ta1wanese Hokkien. One of the stops was AEON Big (formerly known as Carrefour) when I spotted this product. Me: Eh. Jeet eh jiak liao eh si lang eh! 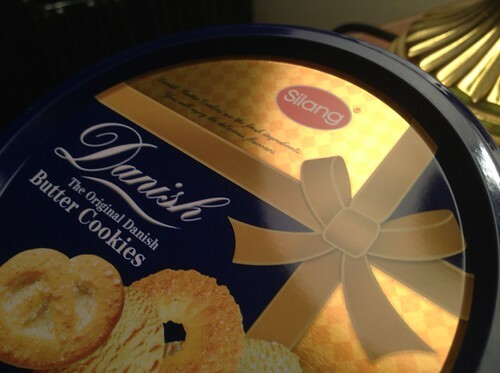 Me: Nair...... SILANG butter cookies lor! Me: Hiak! Hiak! Hiak! Hiak!